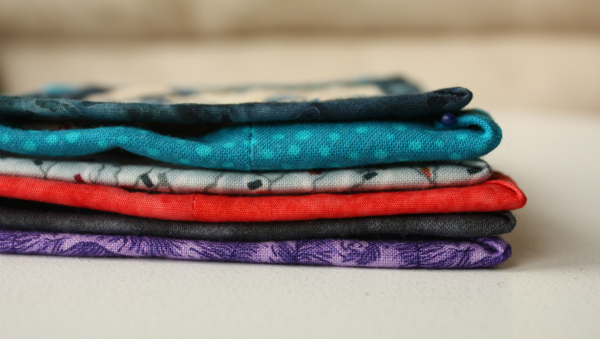 yay, look at all that lovely quilting! well done! 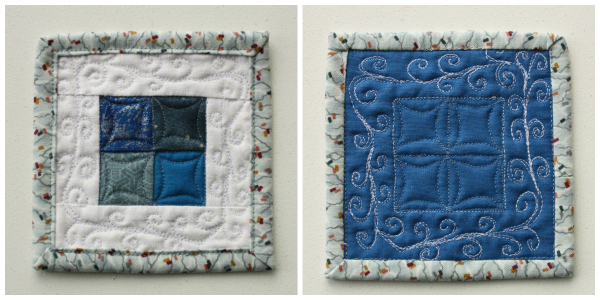 The quilts may be mini mini... But the WOW! factor is big with all those lovely designs. 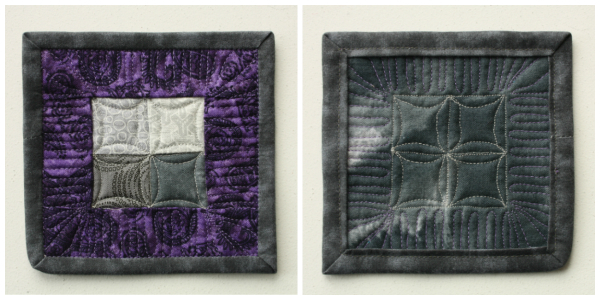 And the quilting! 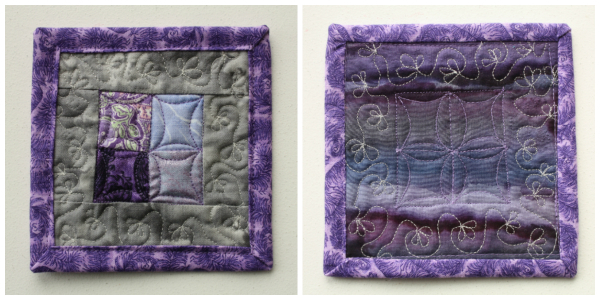 Your quilting on these fabulous little mini quilts is awesome. I'm very impressed. These are awesome. I've been overthinking the process, thinking I needed a fancy creation. 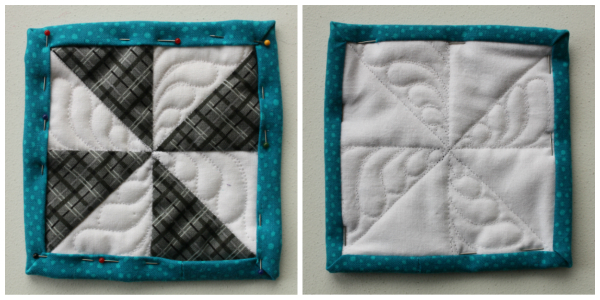 Your HST's are awesome and so is the quilting. 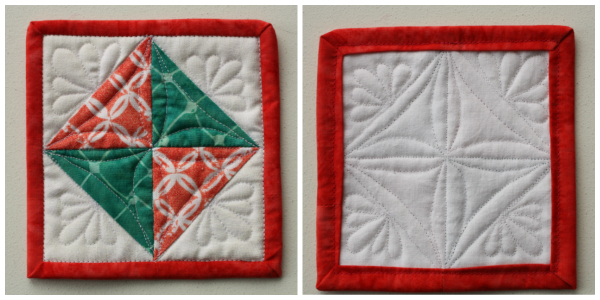 I love the coral and aqua quilt. 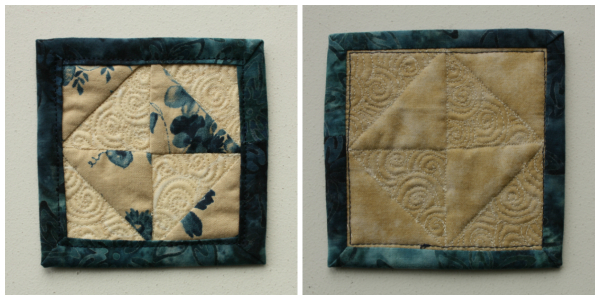 I really like the floral flourishes you quilted in the corners. Thanks for linking up with TGIFF.